When we were in college, the usual barkada get together would be just hanging out in the malls, drinking sessions, and KTVs but as we grow old we tend to go on travels and explore. Personally, I really recommend you guys to go on a trip to Sagada, Mt. Province. To be honest I wanted to go here because of the movie “That thing called tadhana”. Sounds corny but hey, the trip was all worth it because of the experience and adventure. I contacted the travel agency, TRIPinas for the tour, the fee would cost P2,950 or $64 each, we were asked to pay 50% (P1,475) down payment for the slot reservation. Since we are 4 pax we deposited P5,900 in their bank account. After that they will email you the voucher and will be reminded to pay the remaining balance on the day of the trip. Meeting place would be at 9:30pm in Starbucks near St. Luke’s in E. Rodriguez QC. The representative of TRIPinas will brief you about the tour and help you settle the final payment before leaving. You will ride a bus (CODA Lines) going to Sagada, travel time would be around 12-13 hours with 3 stop overs. We left around 9:45PM (because of the late comers) and arrived at the town proper at 8:32AM. Upon going out of the bus you will be asked to assemble in Ganduyan Inn and have your breakfast. (your own cost) The food is good and has hefty serving, food prices in Sagada btw is around P100 – P160 so it is very affordable. A tour guide will discuss the schedule and will accompany you to your corresponding hotels. We finished our breakfast around 10AM and went to our hotel at , the rooms are clean and the shower has heat, there is no Wifi connection when we went there but Globe has decent signal of Mobile data, about H+ but not 4G it is good enough as you can still upload images and videos. Unfortunately my friend owns a smart sim and has no mobile connection on his phone (Paging Smart Communication :p). The trip would start at 1PM in the afternoon, so we rested for about 2 hours (don’t forget to have your lunch!). The first activity would be in a house of an Ifugao native where he will discuss about their culture and have a look on the rare items in Sagada. 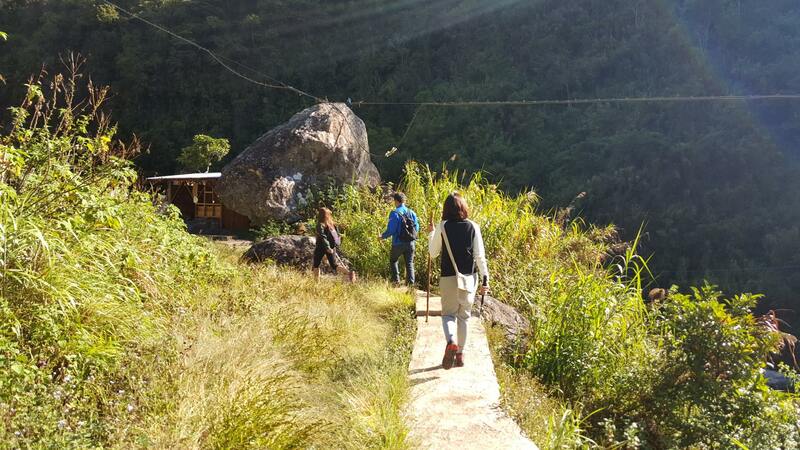 After that you will walk along Sagada starting in weaving house and orange farm. Take note, it is a long walk so I suggest you wear your slippers to stay comfy. We finished around 4:30PM, went back to the hotel, had a bath and fixed our things. 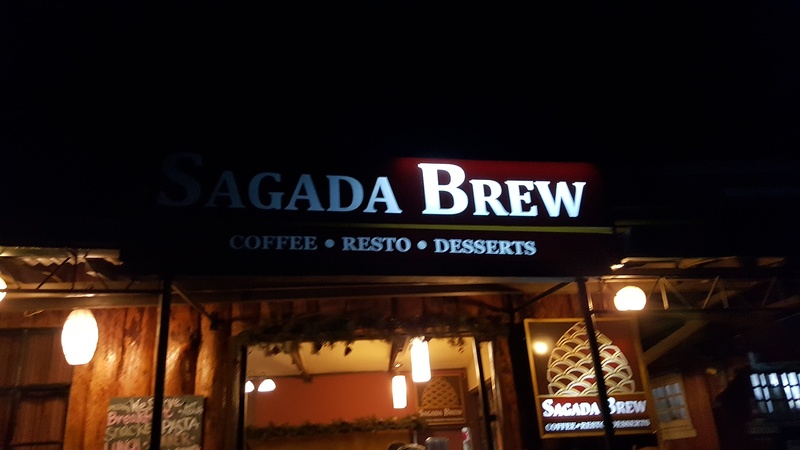 For dinner we chose to eat at Sagada Brew. Food would cost between P110- P170, taste is amazing and the ambiance is relaxing, perfect for barkada late night talk while enjoying Sagada’s cool weather. We woke up in the morning as we have a schedule at 9AM. We went to hanging coffins near the church and it was a great experience. A little exhausting though as the trail gets a little rough because of the number of stairs that you need to go through but it is nothing compared to the view that you’ll get to see in the echo valley. 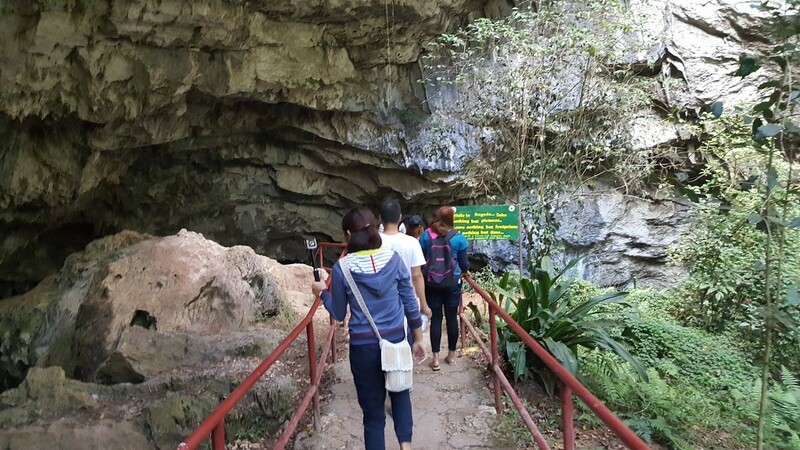 The tour finished at around 11:30 and we were advised to have our lunch and be back at the Ganduyan Inn at 1:00PM because of the cave tour. I do suggest to have your lunch near the church because they have a some sort of mini-banchetto where mostly are Ilocano dishes. Come 1PM in the afternoon we all met at Ganduyan Inn and rode a jeepney going to Sagada cave. Remember to wear slippers on this tour because the trail in the cave are very slippery. 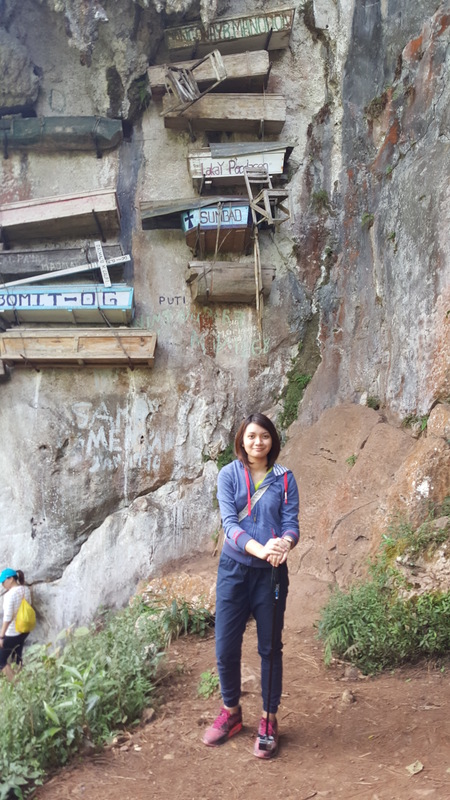 Sagada Cave tour is challenging especially for the first timers because of the slippery rocks and dangerous trail. But we’re all glad that we made it. 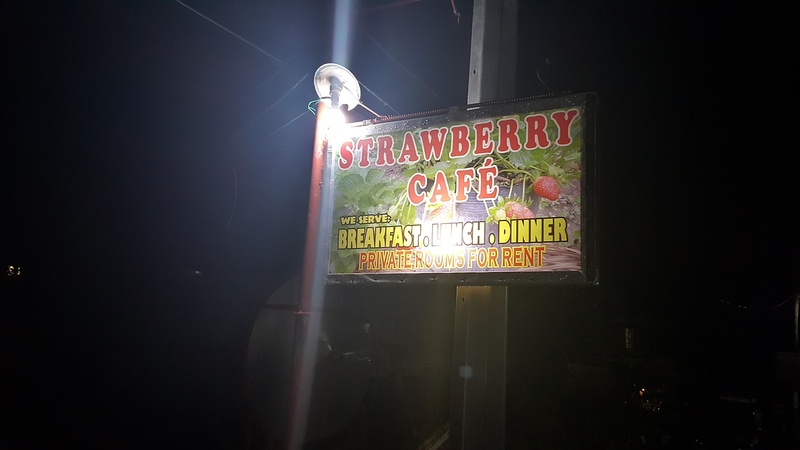 The tour lasted for almost 3 hours, after a tiring adventure within Sagada’s cave we went to dinner at Strawberry cafe and tried their famous strawberry yogurt. It is the best I tell you! 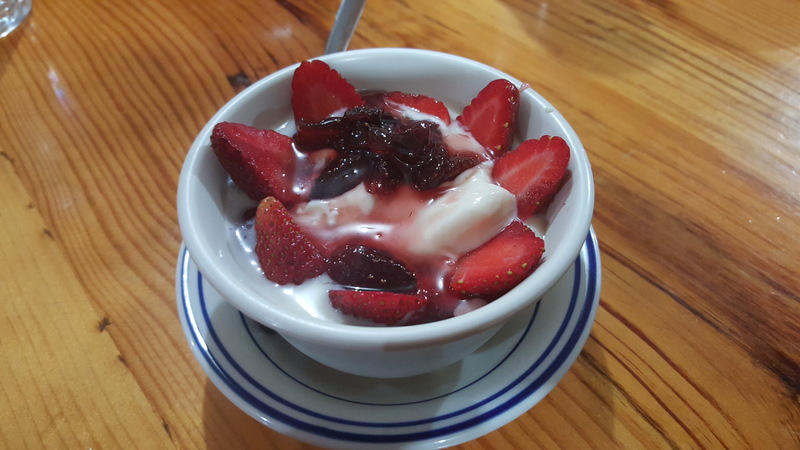 If you come to sagada then you should at least try their yogurt because it is insanely good! And with that we capped off the night by having our usual barkada drinking session in our hotel while playing monopoly cards. Last day in Sagada, we woke up at 4AM in the morning as we have a 5AM call time going to Mt. Kiltepan. Travel time would be around 20 minutes via Jeepney. At the top of the mountain you’ll get to see the sea of clouds and experience even colder temperatures up there. After getting dozens of picture we went on a hiking going to Bomod-Ok falls. The trail is perfect for beginners. On your way to Bomod-Ok falls you’ll see the rice fields and mountains. When you arrive at the falls you’ll get to swim and take pictures. Truly it is an unforgettable experience and will surely come back again. Sadly our call time on the bus going back to manila is at 3PM in the afternoon. But we left around 4PM because of traffic going out of the town. 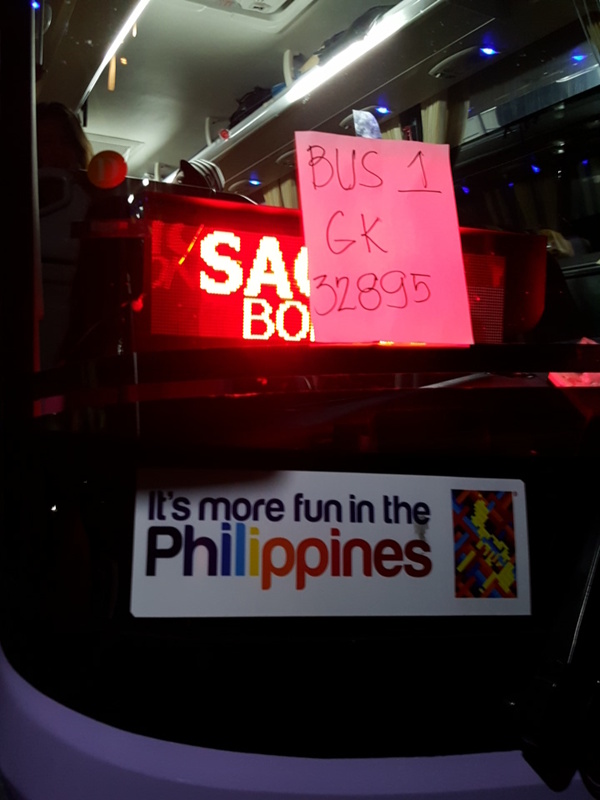 We reached Manila at exactly 4AM early Monday morning. 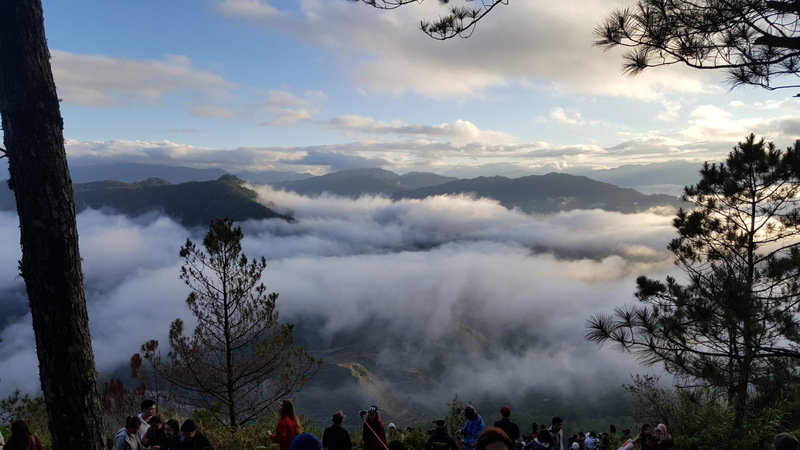 I could sum up our vacation as an unforgettable one because of the great sceneries and the people who helped us explore the beautiful place of Sagada! thank you TRIPinas! I spent around P4,000 for the trip (P2950 for the tour while the rest are for food and pasalubong). Take note their is only one ATM machine in Sagada (DBP bank) it charges additional 30 pesos when using non-DBP ATM cards).